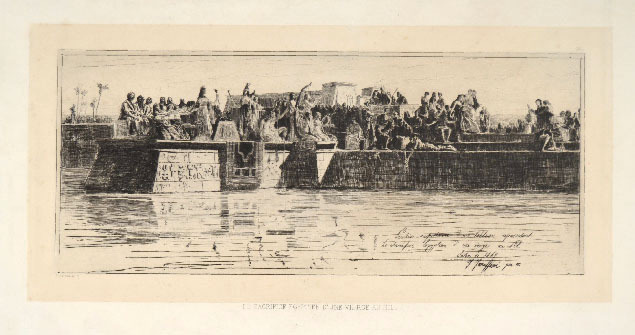 Etching and drypoint, 1867. Signed, dated and lettered with title within the image (by the artist) and below, with plate number but without the production and publication detail including addresses for the printer and publisher. 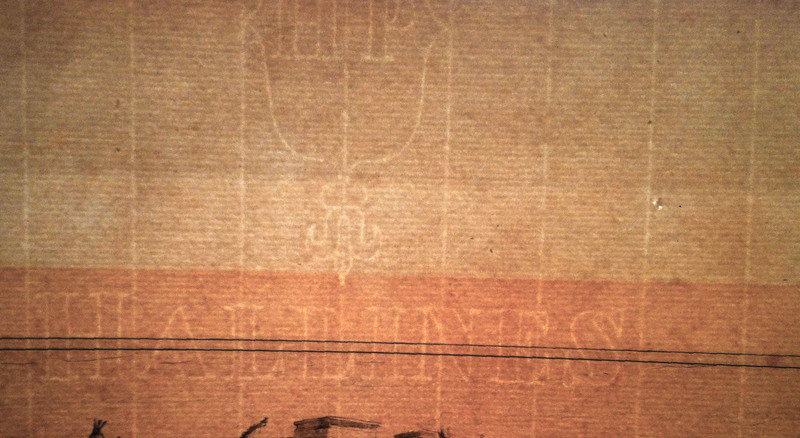 A very good impression on cream chine collé on laid paper bearing the watermark HALLINES with part of a shield with letters HP (French paper produced by Dambricourt Frères). With large margins, minimal faults, generally in very good condition. To the platemark 215 x 397 mm, the full sheet measuring 340 x 525 mm. Etched by Faruffini in Paris, the etching reproduces, reversed, part of the painting of the same subject exhibited at the Parisian Salon in 1867. 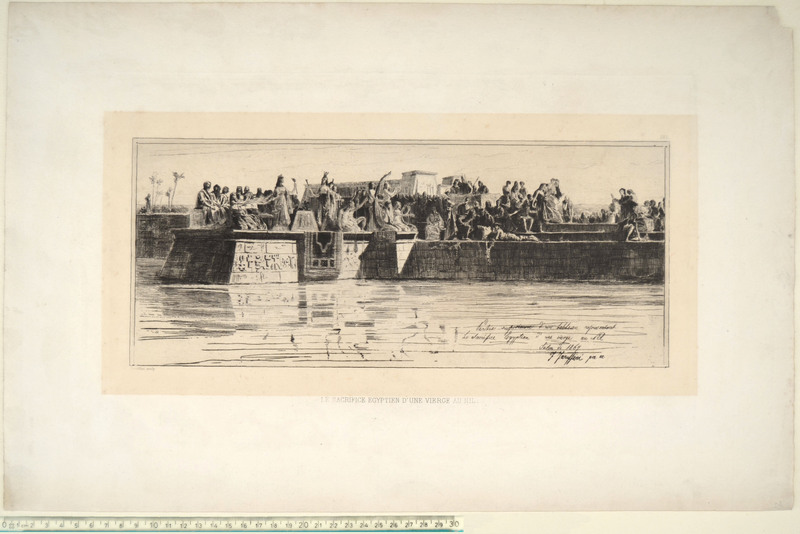 The print was included in the fifth volume of etchings produced by the Société des Aquafortistes, but apparently our impression, which does not bear the addresses of the printer and publisher, was not part of that edition.